Yet another Green shirt for Dean – this one has thick visible seams – most notably double shoulder seams, and a seam that crosses the back and continues down the arm. It’s got pleated breast pockets with flaps and does up with buttons. 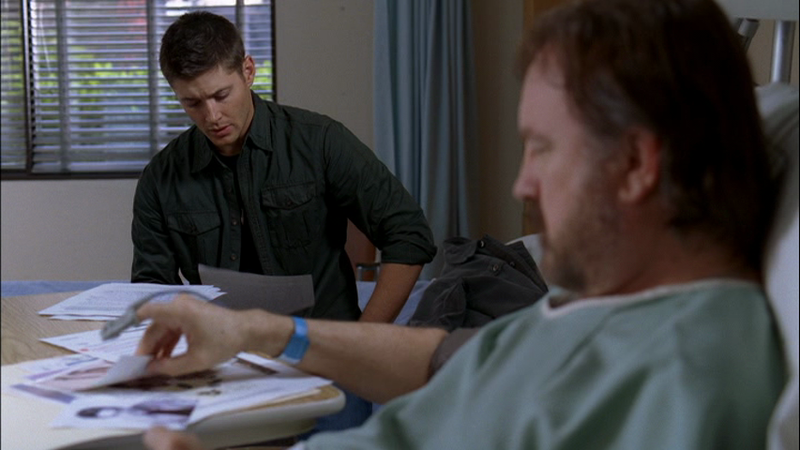 In Dream A Little Dream Of Me (3x10), Dean wears it to visit Bobby once he wakes up, and leaves it on until after Jeremy is dead. In Changing Channels (5x08), Dean wears it during the opening theme song, when he and Sam toast their beers and smile at the camera. 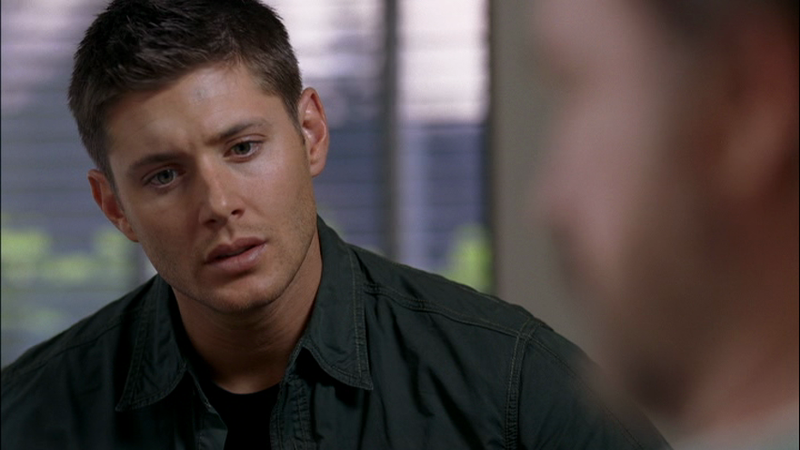 In 99 Problems (5x17), Dean has changed into this at some point during the drive into Blue Earth, MN, after having been rescued from a demon attack at the beginning of the episode by the Sacrament Lutheran Militia. 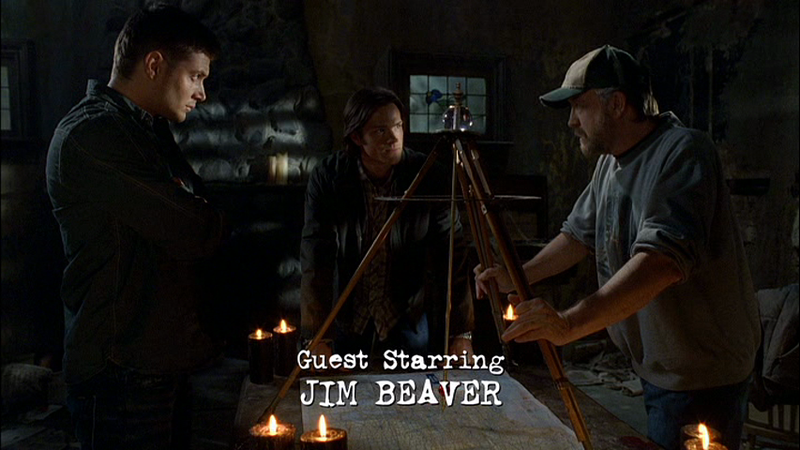 He wears it until Dillon’s death at the end of the demon hunt. In All Dogs Go To Heaven (6x08), this may be the shirt that Dean is wearing from the beginning of the episode and when they interview Cal as a possible suspect. In Clap Hands If You Believe (6x09), this might be the shirt that Dean is wearing from the beginning of the episode until he goes to have his shower after returning from his abduction. In My Heart Will Go On (6x17), Dean wears this shirt when they go to investigate the death at the travel agency, he keeps it on until after they speak with Balthazar.